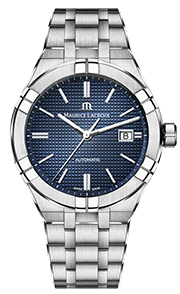 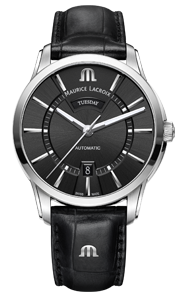 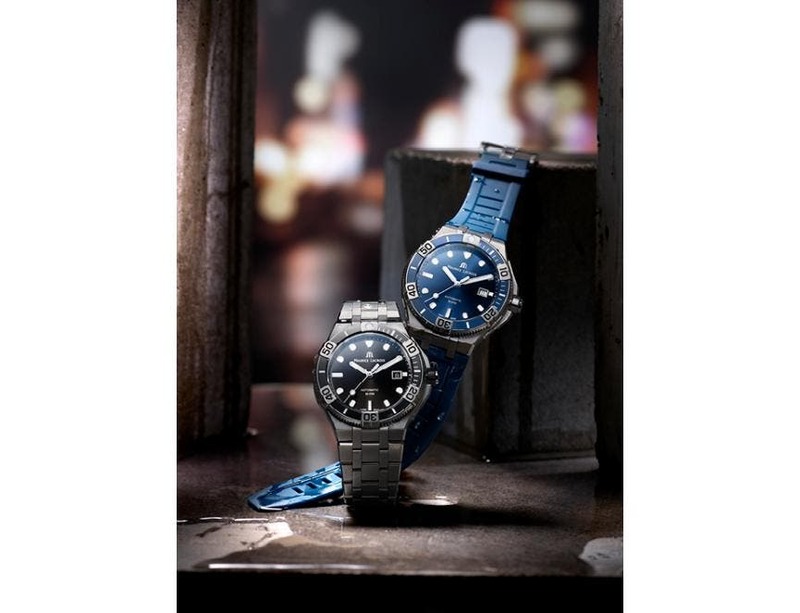 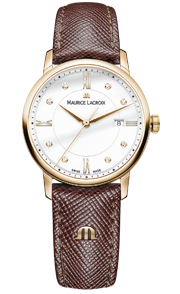 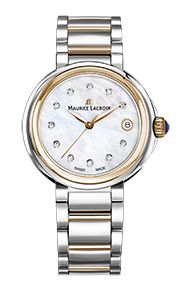 Maurice Lacroix has a tradition of offering watches equipped with a moon-phase indication. 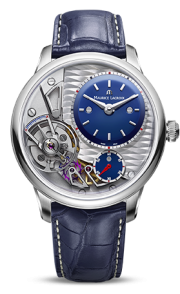 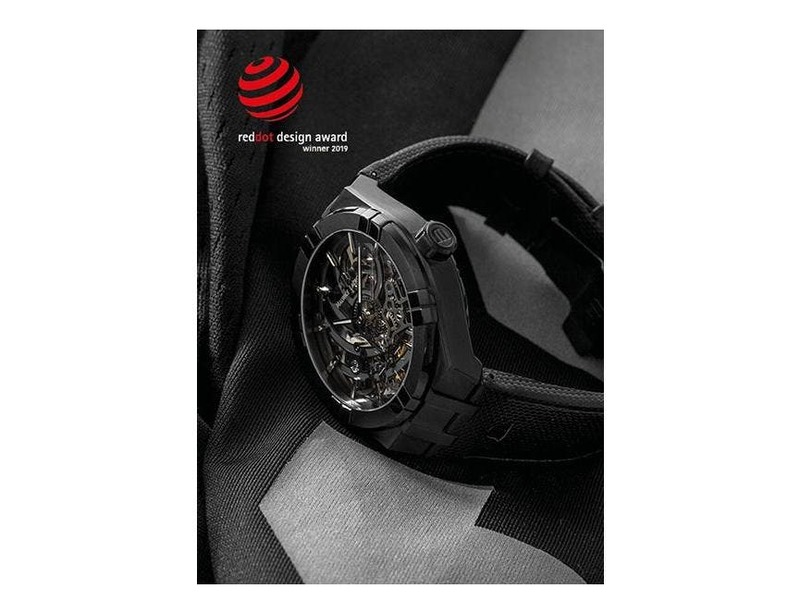 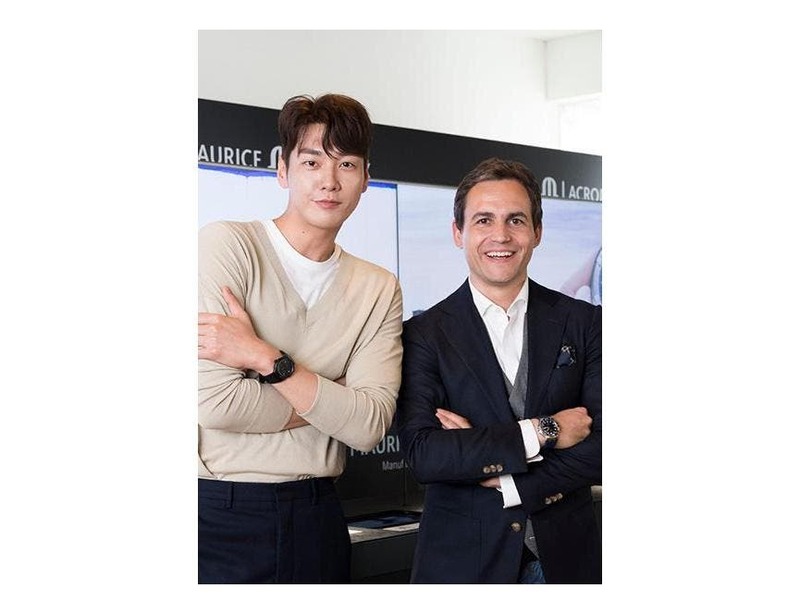 It was therefore inevitable that the company would ultimately bring this enchanting complication to a new audience by housing it within the accessibly priced Eliros collection. 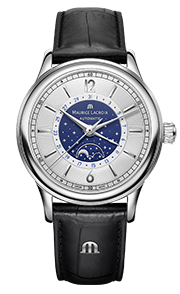 The Eliros 40mm Moon is equipped with both a moon-phase indication, located below noon, and a date display. 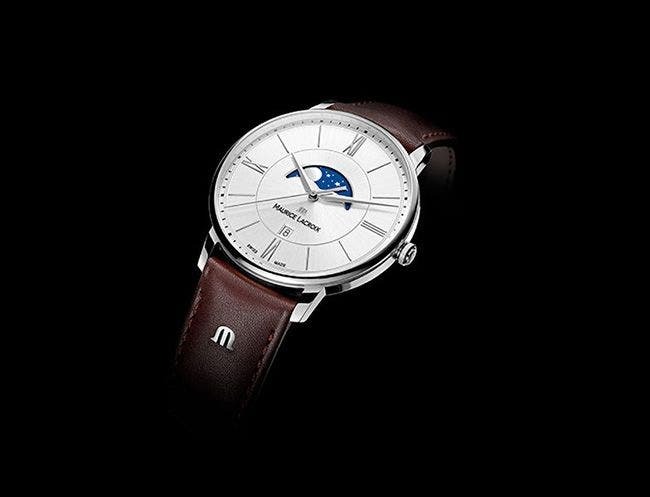 The timepiece still retains the clean, simple to interpret expression of time common to all Eliros models, whilst bestowing the romantic allure of a nocturnal sky adorned with the moon and the stars.